Cowly, Wales, and the Cotswold Collotype Co. Ltd. Publication date is for this particular reproduction. Original map on which it is based published May 1, 1798. 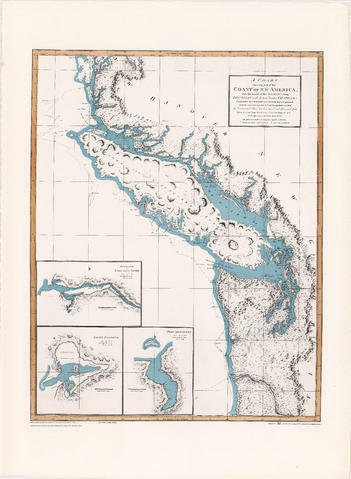 Item is a map, which is a coloured reproduction made in 1974 of one of the charts made in 1798 of George Vancouver's surveys of the Pacific coast of North America. 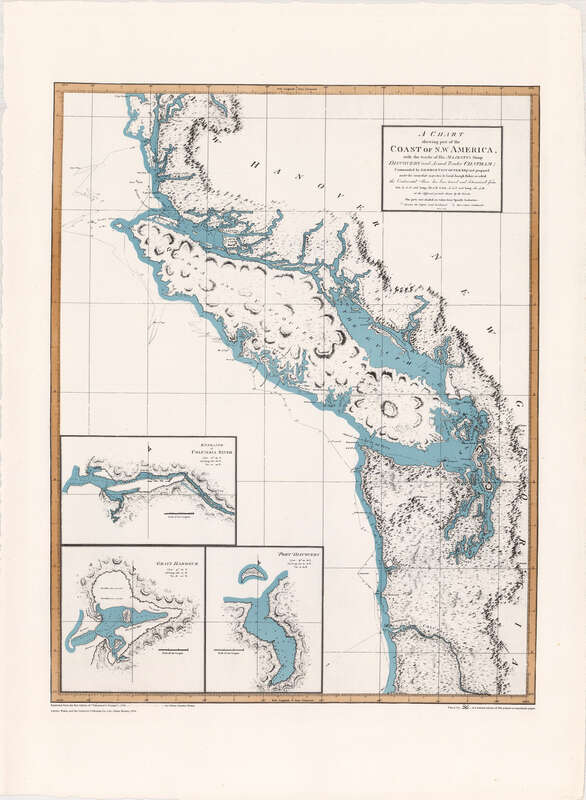 The plate depicts the area from Cape Lookout, north to Cape Swain. The routes taken by Vancouver are marked. Inset map shows a survey of Port Stewart. Three inset maps show the entrance of the Columbia River, Port of Discovery and Gray's Harbour. The routes taken by Captain Vancouver are marked. A digital copy of this material is available on-line. Reproduction: Map is number 36 of a limited edition of 500 printed on handmade paper.